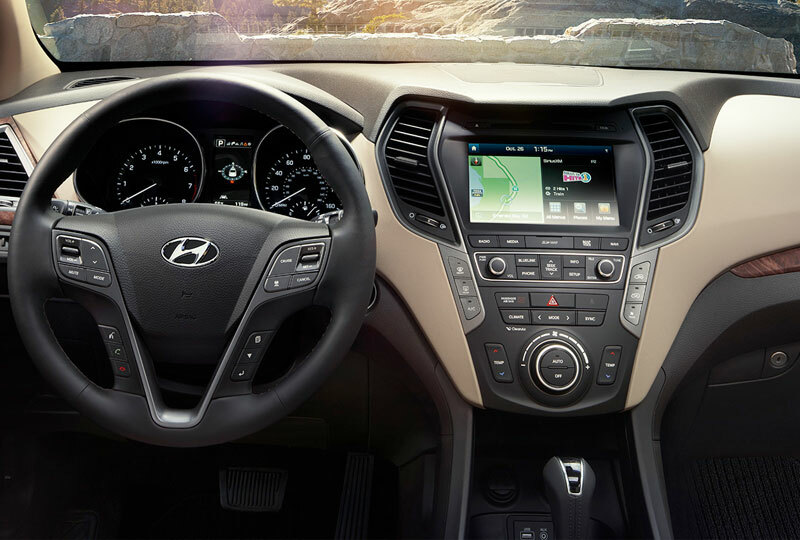 The 2018 Hyundai Santa Fe from Tamiami Hyundai in Naples, FL, serving Fort Myers, Bonita Springs, Estero, and Immokalee, is a modern SUV with luxurious details you'll love. The premium front fascia sports a bold front grille with chrome accents. Built with adventure in mind, this SUV has roof rack rails and available cross rails for storing big-ticket items like canoes, bikes, skis, and more. The 3.3L V6 engine offers up 290 horsepower, making every drive exciting. The optional all-wheel-drive system opens you up to a world of possibilities when it comes to navigating through tough terrain. With standard seven-passenger seating, you can include up to six of your closest companions along for the journey. If you're heading out with less than that, you can fold the second or third row down for extra storage. When it's time to stop and stretch, you can get the perfect parking spot with help from the standard rearview camera. Today is a great day to buy a new Hyundai! Browse our 2018 inventory online, and then call us to schedule your test drive with Tamiami Hyundai at 239-206-4682, or visit our showroom located at 6780 Airport Road N, Naples, FL 34104. 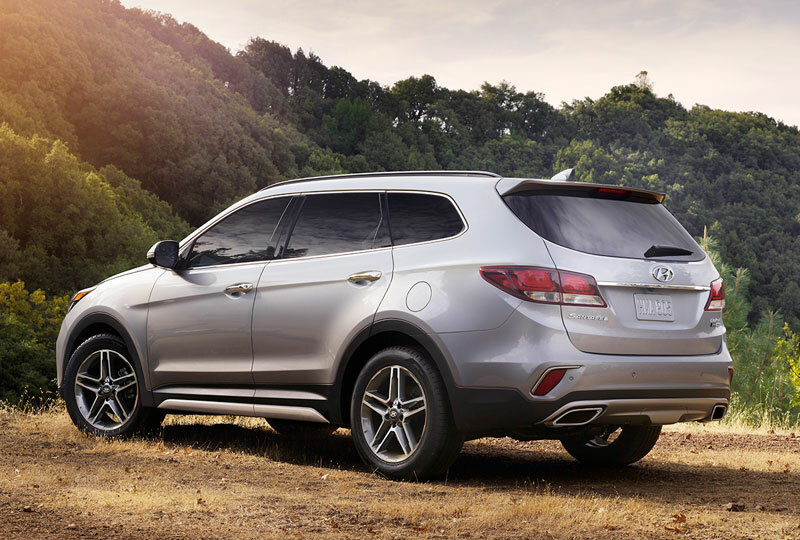 We'll send you home in the 2018 Hyundai Santa Fe you've always dreamed of! 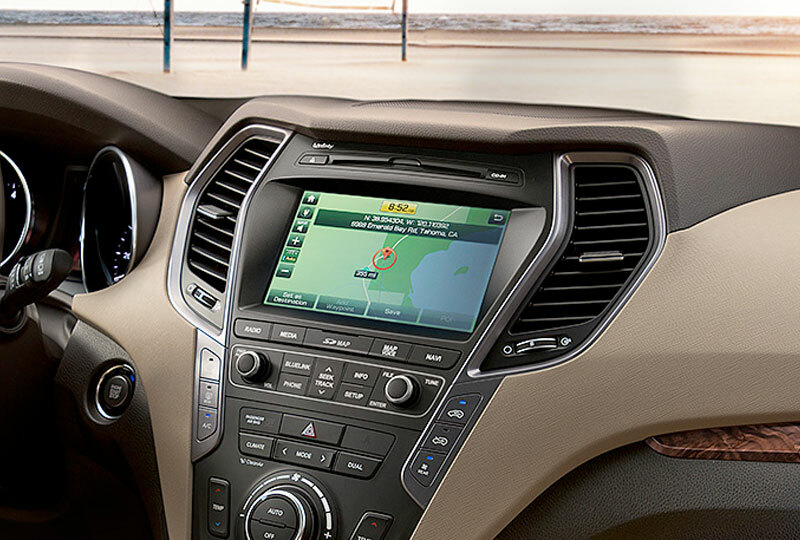 This super-sized touchscreen is the focal point of the interior and gives you precise control and quick access to navigation and entertainment. Best of all, it's a standard feature and the equally standard rearview camera helps you back up with added safety and park like a pro. Maybe you baby-proofed your entire house. But as they get older, kids become incredibly mobile. You need something like eyes in the back of your head. This is even better. 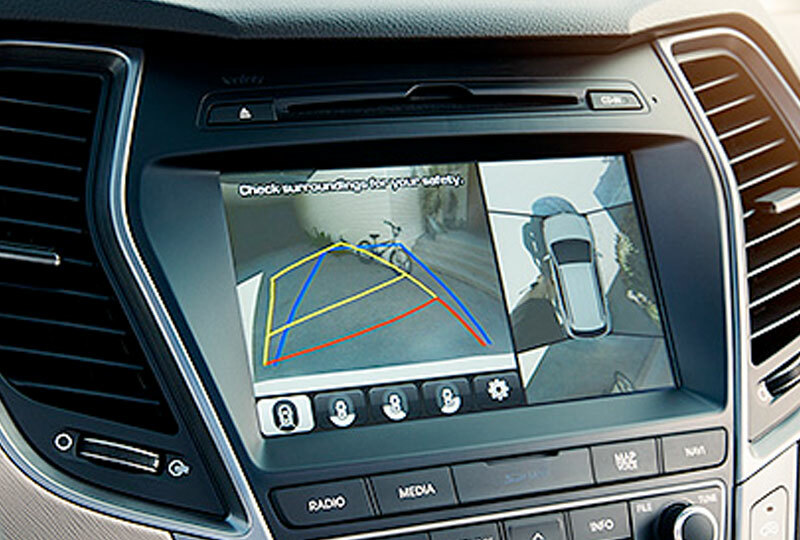 Four cameras offer a 360-degree view around your vehicle to help you see people and objects right on the touchscreen display. It's very helpful for safely maneuvering a large kid-hauling SUV. MSRP excludes destination charges, tax, title, and license fees. Destination charges and actual dealer prices may vary. Vehicles displayed may contain optional equipment at additional cost. 2018 Santa Fe SE FWD: 18 City/25 Hwy/21 Combined. AWD: 18 City/24 Hwy/20 Combined. 2018 Santa Fe SE Ultimate/Limited Ultimate FWD: 17 City/23 Hwy/20 Combined. AWD: 17 City/22 Hwy/19 Combined. EPA estimates. For comparison only. Your actual mileage may vary with options, driving conditions, driving habits and vehicle's condition..